Bright an summery simple 3 blown beads on cotton cord. Silver tone clasp at back. Length is approximately 18". 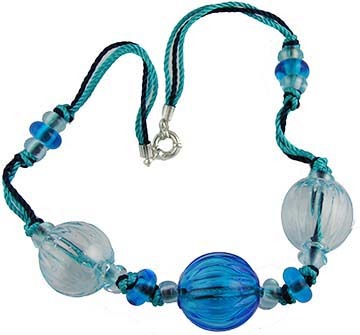 Mouthblown Murano Glass Beads.